There was some quick conversation on Twitter this morning about the CCIE Lab being available during Cisco Live 2011. Well, after some digging around I was able to find a copy of the ad that talks about the availability of the lab. Based on what the ad says, seats are available on July 9th and July 10th only. 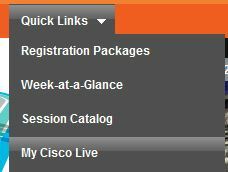 This lab can only be scheduled via the Cisco Live registration site, below are the instructions on how to schedule. I have to say that this is a long time coming, and lets hope they continue this with – say – the CCDE!?!? It does not say what CCIE labs will be available, and my best guess would be R&S only at this time. Then fill out the page presented to you and submit it. That is all that I have on this for now. 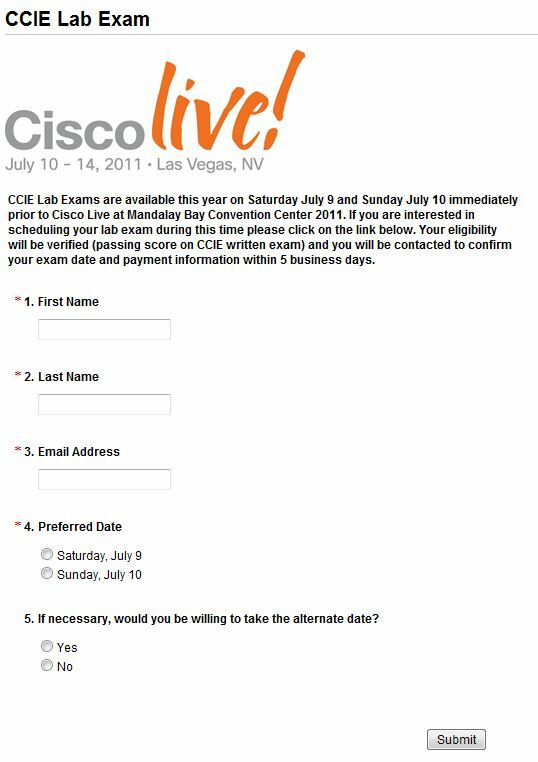 I am not taking a lab at Live this year, if they offer the CCDE next year – I might be! So, if you do schedule a lab, let me know and GOOD LUCK!